These photos are taken at Bali. I guess all of us know what I am talking about. If the Philippines has the world's famous Boracay, Indonesia then has their own paradise - Bali. When we went there last February, we were supposed to visit Bali for a day or two but with the rapid changing mood of my companion, we didnt pursue it and instead stay in Surabaya. These photos however were taken by my colleagues who came there a few months ago. Bali is one of my dream destination and I want to take my kids with me. These beautiful beaches with a lovely sky is my entry for Skywatch Friday and Looking at the Sky on Friday. Have fun clicking on them both! 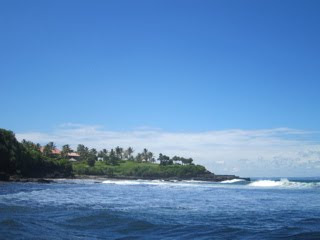 Hey, check out at my Blog, There are so many photos from Bali. 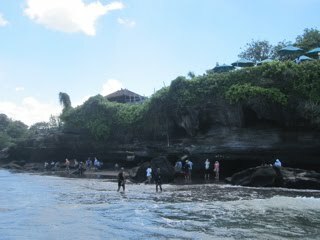 Bali is very Beautiful island, u must to go to there. and don't forget to go to Lombok island too. I would love to go to Bali. Please post more photos, hehe. Is it expensive to go there? How much should I prepare if ever? So nice. what a beautiful island.